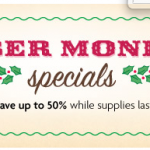 You are here: Home / online shopping / American Girl 50% off sale! American Girl is having a sale! 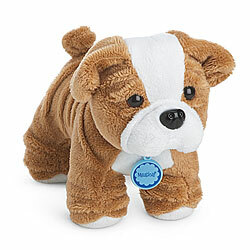 You can save 50% on select items including outfits, pets, and the mini dolls! You can find some great things for Easter baskets! You can also get free shipping on orders of $100+ when you enter the code BLOSSOM at check-out. This code is valid through 3/25! 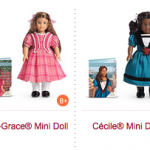 They’ve got American Girl Mini Dolls for just $12! These are regularly $24! My daughter has several of these and loves them! They’ve got pets for just $10! These are regularly $22, so this is an awesome deal, too! 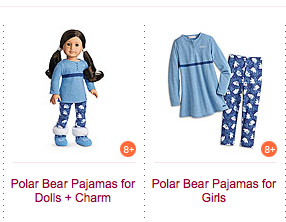 They’ve got doll outfits and matching girl outfits included in the sale, too! 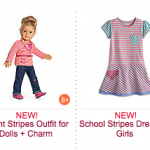 AMERICAN GIRL Bitty Baby Deal: over $100 off!